Special Offers > Use a Buddy System and save! 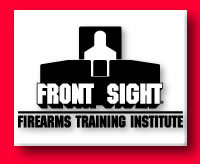 When you enroll in a 2 Day Defensive Handgun, 2 Day Tactical Shotgun, 2 Day Practical Rifle, 4 Day Defensive Handgun, 4 Day Tactical Shotgun or 4 Day Practical Rifle course at the regular price, you may enroll a friend or family member in any course offering "Buddy System" pricing for 25% off the normal cost, providing that you both attend the course on the same weekend. This will save $250 off the cost of a two-day course, and $500 off the cost of a four-day course. When you include splitting the travel and lodging expenses with your buddy, you save even more. See the course descriptions for those courses offering "Buddy System" pricing.